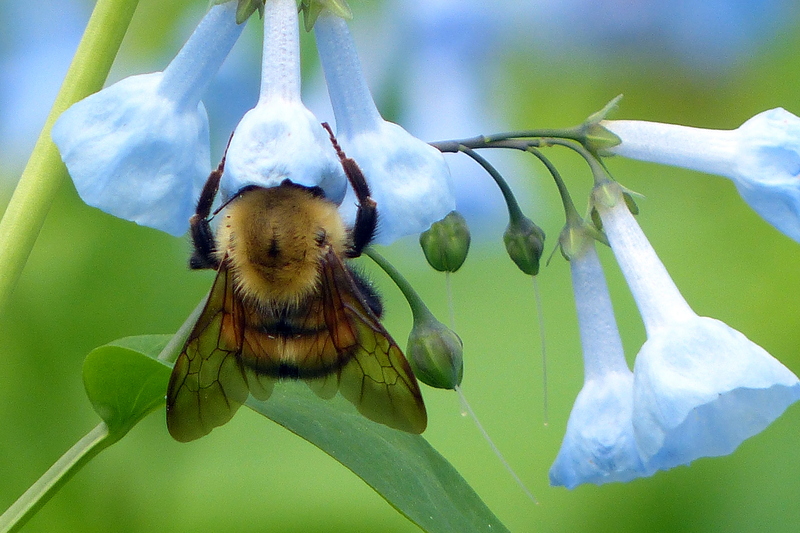 A Green Spring visitor’s photos appear on Forever postage stamps. A question asked one day in Cindy Dyer’s garden would lead her to a successful career in photography. The buoyantly inspiring Dyer has been honing her craft with a camera since high school, where on the staff of the yearbook, which she lovingly refers to as “photography boot camp,” she discovered her skill in the art of capturing images. “I first started noticing all that hard work paying off when I was doing a shoot for the football team during one of their games,” Dyer said. “I was taking some really great action shots; passes caught, touchdowns being scored, and players getting tackled. I’ve never been a big sports fan, but that was something that got me pumped to go to those games.” After college, Dyer became a graphic designer by trade, though she maintained a close relationship with photography, cataloging her botanical endeavors on her Zenfolio account. After being fervently pressured by her friends, she began to promote her photography skills and to do more with her abilities. Her first major triumph came a few years ago from a local park where she had already shot most of her material — Green Spring Gardens. Her success continued with the help of a very important patron at the Green Spring show. During the first month of the show, she met the wife of one of the U.S. Postal Service’s art directors. “She bought a piece of mine, went home and talked about my show with her husband who, luckily for me, was tasked with putting together a series of stamps with ferns, palms, and orchids,” Dyer said. Dyer received a call from Photo Assist, a procurement agency for the Postal Service, asking about her show and if they could license some of her fern photos. Those stamps were issued in January and re-released in March 2014 as a part of the Forever Stamps series. Dyer’s photography also received notice in 2011 when Nikon web columnist Barry Tanenbaum interviewed her for a how-to piece illustrating the mechanics of photography and used 12 of her images to demonstrate tenants of the discipline. That led to another interview and photo feature with Tanenbaum when he later wrote for Talking Pictures Magazine, and she gained more exposure for her photography in Shutterbug Magazine. In a tone that is both matter-of-fact and undeniably humble, Dyer attributed her burst of success to Green Spring Gardens. She said that the park takes an intelligent approach by endorsing an attitude of quality over quantity in terms of space and how it is used. Discussing photography at Green Spring, Dyer said some plants are more predictable because they naturally grow there. “I can look in my calendar and say ‘okay, it’s mid-April, I’ll bet this is in bloom,’ and I’ll usually be on the money.” She also adores the park’s “beautiful bunch of lilies” and her personal favorite, the Love in a Mist. Those she described as “something you’d see in outer space.” She noted that Green Spring marks its flowers with both a plant’s common and Latin names, which Dyer calls invaluable. “Being able to add even that little bit of information to my photos helps make it look a bit more professional,” she said. Dyer added that the park’s intimate size limits the walking she has to do between shoots on her searches for interesting photo subjects. “You need to not just have the gadgets; you also need to have a good eye for capturing the moment. Don’t be so obsessed with equipment. Get the best for what you can afford. If you really want to invest your money into an important part of the camera, invest in the lens. Scientifically speaking, photography is about capturing light and the piece of equipment that does that job the most is the lens. I’ve taken some great pictures that have ended up going on my website with my iPhone. Those things have some really solid lenses. “Another essential piece of equipment, I’d say, for photographing still scenes/objects is a tripod. Even if you have hands steady as a surgeon, the tripod will do the job for you 100 percent right, 100 percent of the time, and it frees you up to move around the shot to see if there are better angles to get an even better shot without having to focus through the lens or lose where you were originally standing. Author Dominic Lodato is a summer intern for the Fairfax County Park Authority’s Resource Management Division. 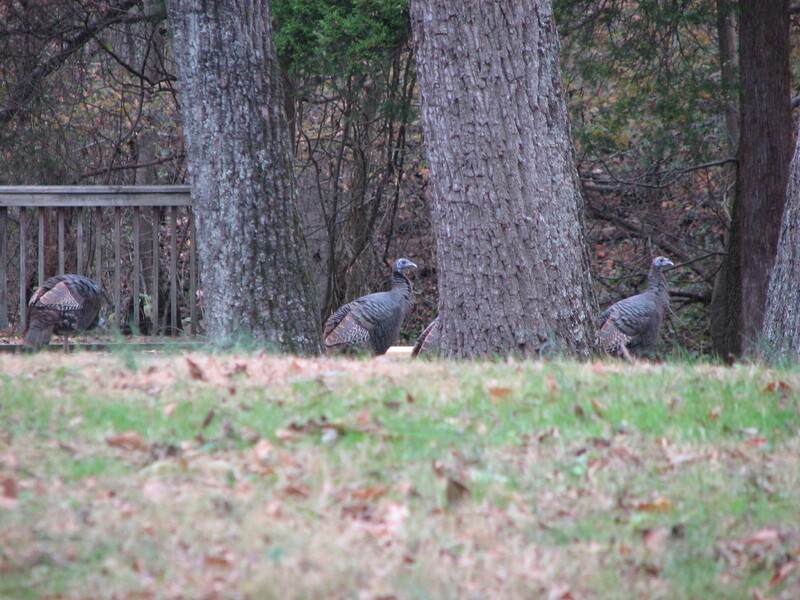 To see more photos of Green Spring Gardens, visit Cindy Dyer’s website. Editor’s Note: All professional photographers conducting business on FCPA property or in FCPA facilities must obtain a photography permit and submit appropriate fees in advance. To learn more and apply for a permit, visit Professional Photography in the Parks. This entry was posted in Uncategorized and tagged Green Spring Gardens, nature, outdoors, Photography on August 13, 2014 by Fairfax County Park Authority. 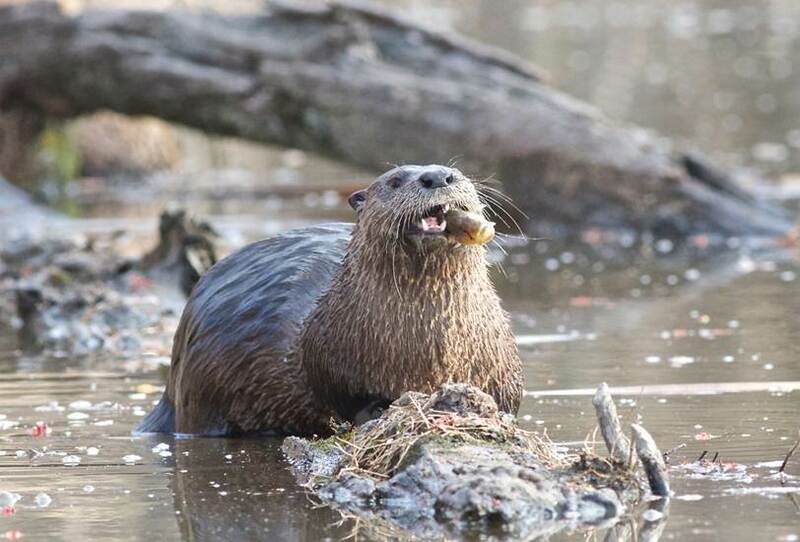 Observant hikers may spot a river otter in the wetland. Photo by Ed Eider. One of the largest parks in the Fairfax County Park Authority system is not, generally speaking, a hiking or biking park. Oh, there are trails at Huntley Meadows Park, but it’s not the place to take off blazing new paths through a woods. There are only two short miles of trails, but they are a celebration of wildlife watching and nature photography. Fairfax County has more than 500 miles of trails ranging from the paved and noisy biking path alongside the Fairfax County Parkway to the isolated, steep, rugged stretches of hillside climbs at Scott’s Run. There’s the lakeside jaunt around Burke Lake, the South Run Stream Valley mix of wide, paved paths and narrow twists of dirt. There are the horse trails of The Turner Farm and Laurel Hill. Among the others, of course, is the 40-mile Gerry Connolly Cross County Trail. Our mapping tool, Trail Buddy, will help you find an appropriate hiking, biking, equestrian or wildlife watching trail. Then there’s Huntley Meadows. There’s nothing else quite like it in the county because it is home to the largest non-tidal marsh in Northern Virginia. The very sensitive ecosystem that comprises the park, especially its central wetland, is rare habitat in this area. 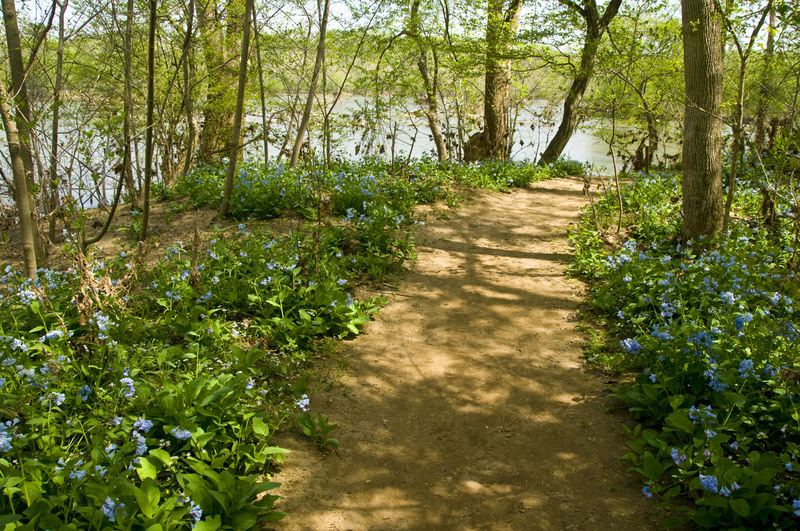 The forests, wildflower-dotted meadows and cleansing wetlands of the park draw rich numbers of wildlife, and the half-mile boardwalk that traverses the wetlands is the reason for this area’s claim as the best place in Northern Virginia to watch wildlife. 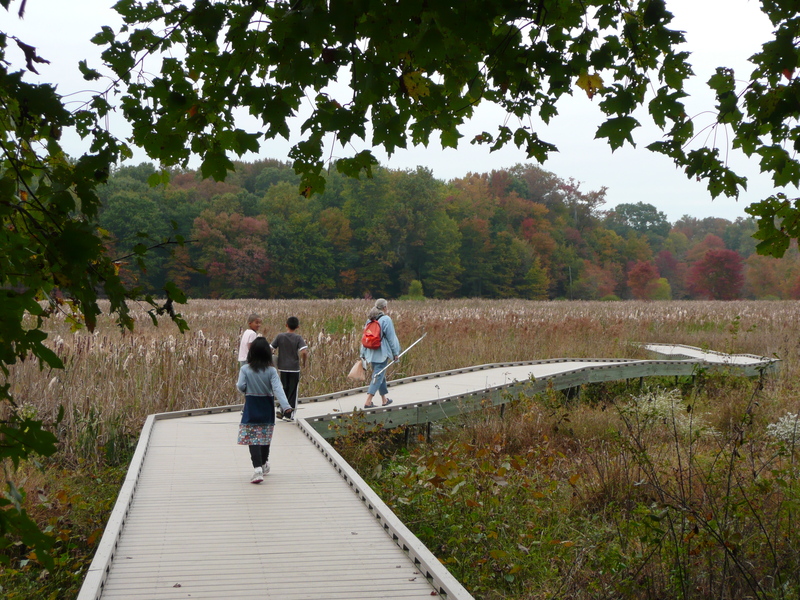 The boardwalk at Huntley Meadows leads visitors into the heart of the wetland. That boardwalk is the key to hiking in Huntley Meadows. First, it is ADA accessible, which opens this world of wildlife to all comers. It runs right through the heart of the wetlands, which means when you visit, look up to the sky, down into the waters and mud, left and right across the fields and away into the woods. There’s wildlife large and small to be seen in the distance and, sometimes, right under your feet. It’s a wildlife photographer’s utopia. 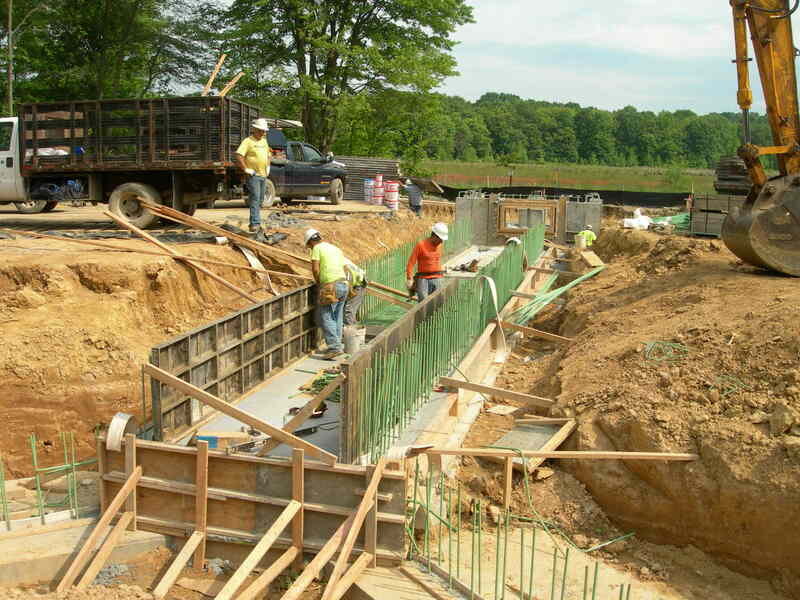 The $3 million dollar wetland restoration project was recently completed at Huntley Meadows. It’s a pretty utopian place for wildlife, too. The wetland, part of an area once carved by the Potomac River, underwent a major restoration in the past two years, and the result is a prime wetland that is attracting an increasing number of wildlife and welcoming the return of species that had abandoned the park prior to the restoration. Huntley’s 1,500 acres now include the wetland, woodlands, a visitor center, and a historic house built by a grandson of George Mason that is located nearby. Because of the sensitive ecosystem and the numerous animals, the park’s hiking options are both unique and restricted in order to protect natural resources. That means we ask visitors using the ADA accessible boardwalk and observing wildlife to leave bikes and dogs behind. The boardwalk doesn’t have safe space for cyclists and a dog in the wetland, even quiet and on a leash, scares the park’s locally rare bird species. Studies show that even silent dogs on a leash can reduce breeding bird populations by more than 40% because birds see them as predators. Just a few dogs in the wetland could convince the park’s rails, bitterns and grebes to move on and nest elsewhere. Dogs, litter and loud music on park viewing platforms threaten and disturb the wildlife and therefore should not be a part of any visit to this site. One of the ways to approach the central wetland is via the park’s one-mile Hike-Bike Trail, an easy and flat path that is excellent for small children. It’s not an appropriate place for speed/racing bikes or for mountain biking, and we ask those who bike in the park to ride responsibly and stay on the trail. Leaving the trail could land you on fragile conservation areas among ground nesting birds and slow-growing woodland wildflowers, and the park’s salamanders and forest frogs can all be devastated by a few off-trail bike trips. That fragility is actually true for most of the park’s forest, meadow and stream trails, which is why park personnel ask that you stay on the established trails and blaze no new ones. Huntley Meadows also differs from other parks in Fairfax County in that there are no large loop trails. It’s not a park designed for long-distance, cardio workouts. The park’s trails are relatively short and designed with two main goals in mind – getting you close to wildlife for observation and protecting sensitive conservation areas. When viewed and visited with that understanding, Huntley Meadows is indeed a special type of hiking/biking park. Written by Dave Ochs, manager of Stewardship Communications for the Park Authority’s Resource Management Division, and based on notes from Huntley Meadows Park manager Kevin Munroe. After 22 years of planning, 60 public meetings, and a cutting-edge design and construction process, the wetland at Huntley Meadows Park in Alexandria, Va., has been restored. 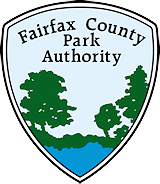 The Fairfax County Park Authority invites the public to attend the grand opening Saturday, May 10, 2014 from 10 a.m. to noon. This entry was posted in Uncategorized and tagged Hiking, Huntley Meadows, nature, outdoors, Walking, Wildlife on May 8, 2014 by Fairfax County Park Authority. 2013 was a good year for native, cavity-nesting birds of Fairfax. Births of animals at Frying Pan Farm Park are publicized and celebrated, but not all of the births in the park take place in the barn. There are Eastern bluebird (Sialia sialis) hatchings in nest boxes around the park, and sometimes the newborns are known only to the staff and volunteers who monitor those boxes. There weren’t a lot of them around during the Great Depression. Bluebirds weren’t common in the 1930s. The usual problems — habitat loss and the introduction of non-native competition –depressed their population. The European starling and the English house sparrow, both aggressive species, competed with bluebirds for nesting cavities. But people liked them, even crooned about them. Dame Vera Lynn sang about bluebirds over “The White Cliffs of Dover” in 1942. “Zip-a-Dee-Doo-Dah,” with the line “Mr. Bluebird on my shoulder,” won the 1947 Academy Award for Best Original Song. “Bluebird of Happiness,” recorded in 1945 by tenor Jan Peerce, was a worldwide hit. More empirical, but just as romantic at the time, were bluebird enthusiasts. These folks installed and monitored nest boxes, and bluebirds recovered. We still use nest boxes, romantics that we are, to support the Eastern bluebird population in Fairfax County. You can see bluebirds at Frying Pan year round, often near the park’s upper horse ring or the stormwater pond. 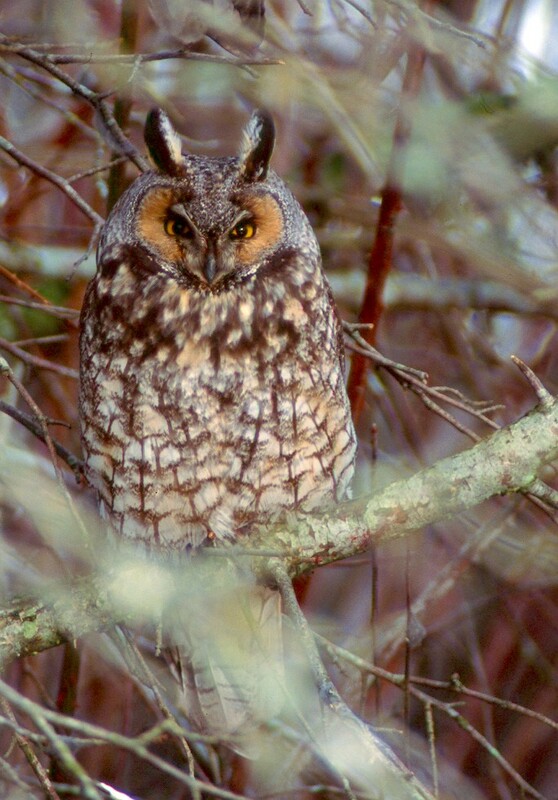 During the spring and summer, they nest in cavities in trees and in the nest boxes. The small size of the entrance hole in the park’s 13 bluebird nest boxes keeps out the larger starling, and the monitors remove house sparrow nests to discourage them from using the boxes. The starlings and house sparrows still nest at the park in the farm yard. The bluebird boxes welcome all native species and are used by tree swallows, Carolina chickadees, tufted titmice, house wrens and others. You can learn more about the boxes and how they work by finding the display box along Frying Pan’s wagon ride path near the visitor’s center. The bluebird monitors keeping an eye on those flirting birds in the boxes are park staff and volunteers with the Virginia Bluebird Society (VBS), a 17-year-old non-profit that promotes bluebirds and other native cavity nesters. Information about bluebirds, their nesting habits and how the monitoring program works is on the organization’s website. VBS is working to establish a statewide network of bluebird trails. Here’s what they learned by keeping count last year. In 2013, 29 bluebirds and 19 tree swallows were born and fledged from the Frying Pan boxes. July’s hot weather seemed to discourage the birds, which may be why this total of 48 birds was down a bit from the two previous years (56 birds each in 2011 and 2012). The numbers fluctuate naturally, and the drop in 2013 is not a concern. It’s still a nice total, and it’s still fun to look for the bluebirds when you visit the park. The number of bluebirds fledged in 2013 in monitored nests across Northern Virginia was up 2.2 percent from 2012. That’s 3,603 birds successfully raised from 56 monitored nests. In 2012, monitors logged 3,523 birds fledged on 49 trails, up from the 2,974 birds fledged on 47 trails reported in 2011 data. The numbers recorded by the monitors annually since 2000 are on the VBS web page. Frying Pan is not alone among Fairfax County Park Authority sites hosting bluebirds. Burke Lake, Cub Run, Eakin, Ellanor C. Lawrence, Greendale, Lake Fairfax, Langley Fork, Laurel Hill, Nottoway, Oak Marr, Riverbend, and South Run are some of the Park Authority sites that host bluebird boxes. Another is Huntley Meadows (HMP), whose monitors track nesting box results in the park and at the adjacent Coast Guard Station (CGS). HMP has 27 boxes, 20 of which are paired to permit Eastern bluebirds and tree swallows to nest side by side, reducing competition within those species. Eastern bluebirds and tree swallows forage differently and do not compete for the same prey base. Two paired boxes are located behind the observation tower on the south side of Huntley Meadows, and the others sit near the hike/bike trail on the northwest side of the park. The CGS hosts five boxes that overlook a well-kept lawn in contrast to the park boxes, which are located in open but typically overgrown meadows. All boxes are equipped with predator guards as prescribed by the Virginia Bluebird Society. The VBS trains and organizes volunteers to monitor the nest boxes. If you are interested in becoming a monitor, contact VBS president Carmen Bishop. Many of the trails in Fairfax County are monitored by teams of four people, and there is a need for volunteers. A reminder: it is important that people not open the boxes unless they are a trained monitor. Opening a box that holds nestlings age 13 days or older might cause them to fledge prematurely. Monitors keep records, so they know when and which boxes to avoid opening. The birds generally are pretty tolerant of monitor visits, but not endlessly so. Too much disturbance can discourage them from nesting. For visitors not part of the monitoring program, watch but don’t touch. Enjoy a walk along a bluebird trail, and enjoy the results of the monitors who are trying to keep Fairfax County blue. Author Carmen Bishop is the president of the Virginia Bluebird Society and a former Fairfax County Park Authority employee. Co-author David Ochs is the Park Authority’s Manager of Stewardship Communications. This entry was posted in Uncategorized and tagged Birds, Bluebird Monitoring, Carmen Bishop, Eastern Bluebird, Eastern bluebirds, Environmental Stewardship, Fairfax County, Frying Pan Farm Park, nature, Nesting Boxes, outdoors, Sialia sialis, VBS, Virginia Bluebird Society on January 17, 2014 by Fairfax County Park Authority. On the night of June 29, 2012, a line of intense thunderstorms known as a derecho charged across Fairfax County with winds gusting up to 80 mph. The ferocious winds leveled hundreds of trees and left thousands of residents in the dark and without power. Among the trees found in the storm’s wake was a former national champion Virginia pine (pinus virginiana), an impressive specimen that had towered 106 feet above the Reston South Park and Ride lot. Upon learning of the tree’s demise, members of the Fairfax County Tree Commission set out to commemorate the fallen champion. Robert Vickers, chairman of the tree commission and Dranesville District representative, first noticed the great pine in 2009 while waiting at a traffic light at the corner of Reston Parkway and Lawyers Road. “Once I measured the tree and checked the Virginia Big Tree website, I realized it was the new state champion,” he recalled. The massive tree had an 82-inch circumference and its crown spanned 39 feet. Vickers invited Virginia Tech professor and keeper of the Virginia Big Tree database Jeff Kirwan to confirm the measurements. To their surprise, not only was the giant pine a Virginia state champion but it was the tallest tree of its kind in the country. It was then included in the National Register of Big Trees, a publication produced by American Forests, the country’s oldest nonprofit conservation organization. Fairfax County was home to the national champion Virginia pine for two years until a larger tree was found in West Virginia in 2011. However, the tree remained the state champion until the powerful derecho uprooted it in 2012. Meanwhile, recognizing the need for experts with a big saw, Vickers contacted another tree commissioner, Everett “Butch” Loughry, who is also the Fairfax County Park Authority’s forestry crew chief. “Our crew is glad to help surrounding jurisdictions whenever needed,” Loughry said. The four-man crew removed the trunk from the stump to prevent it from rolling and then used a heavy-duty chainsaw to cut five “cookies” on Wednesday, January 8, 2014. Commemorative plaques made from the large wooden discs will be given to the tree commission, the Park Authority, the Reston Association, the Fairfax County Government Center, and Fairfax County Board of Supervisors Chairman Sharon Bulova. According to Vickers, each plaque will list the tree’s official measurements and the years in which the tree was recognized as a state and national champ. 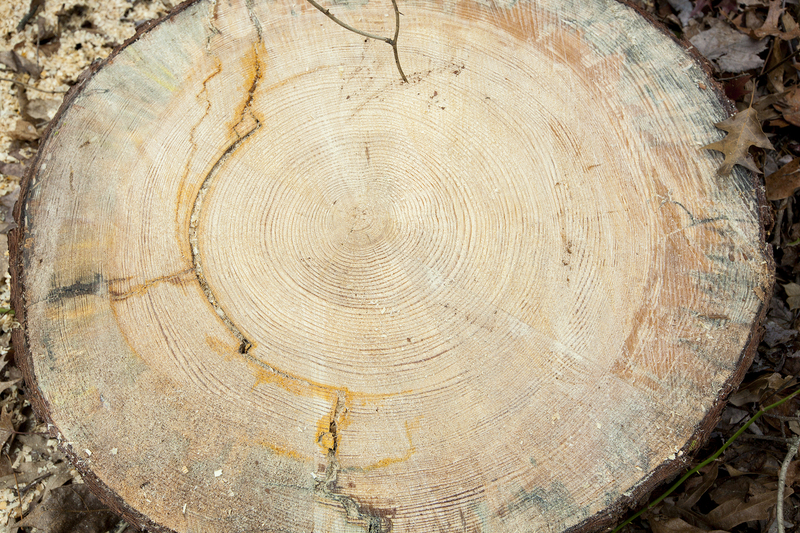 Tree Commissioner Peters counted at least 125 rings on one “cookie,” which means the tree had stood in the same place for parts of three centuries. To put this in perspective, it began growing when the U.S. flag still had only 38 stars and stood sentinel throughout two World Wars, the Space Race, the Civil Rights Movement, and the explosion of technological advances in the first decade of the 21st century. One hundred twenty-five rings were counted in this cross-section of the tree. Photo by Sean Bahrami. For years Fairfax County boasted three national champion trees. But with the loss of the Virginia pine and the discovery of another tree that dethroned a champion chestnut oak in McLean in 2010, the county is down to one, an ancient paw paw growing along the Potomac River in Great Falls. Let’s hope it can withstand nature’s fury and stand tall long into this century and beyond. This entry was posted in Uncategorized and tagged American Forests, Champion Trees, Derecho, Education, Environment, Fairfax County, Forestry, National Register of Big Trees, nature, outdoors, Reston Association, Tree Commission, Trees, Virginia Big Tree Database, Virginia Pine on January 15, 2014 by Fairfax County Park Authority. This is no time to get lost in nostalgia. True, December holidays are a time of tradition, and Ellanor C. Lawrence Park (ECLP) is reaching back to its past by continuing its annual holiday festivities, such as Holidays at Walney Farm. But staff has eyes peering ahead to the future. Interpretative programs are an important and fun means to developing that special connection with stewardship. William Carr, the high school graduate who taught the first class on outdoor education at Columbia University, wrote, “Not having an interpreter in a park is like inviting a guest to your house, opening the door, and disappearing.” Programs reveal the amazing web of life that exists within the park’s many habitats and allow voices from the past to speak once again. They provide opportunities for learning, inspire curiosity, and engender a sense of wonder that we often leave only to children to enjoy. In a program with an interpreter you can uncover millipedes that smell like almond cookies, stroke the smooth, cool skin of a live snake, or try a taste of hard times washed down with sweet potato coffee. January provides an opportunity for you to learn how you affect a forest and how that forest shapes your life. It may not be obvious, but we live in a forest biome. How we treat that land, whether it is our parkland or our own backyard, has lasting impact. 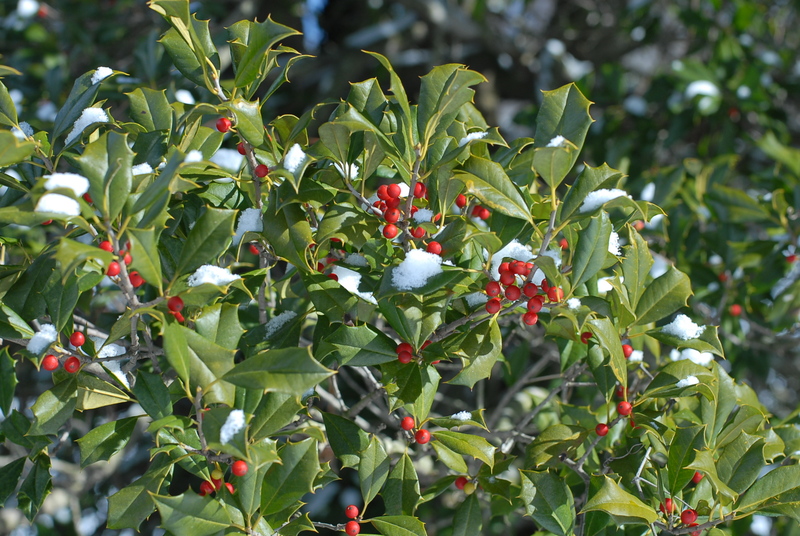 The new programs start with a January expedition to see Winter Birds at Mason Neck. You’ll join naturalists Michael Gregory and Megan Tolosa in exploring the Great Marsh Trail at the Elizabeth Hartwell Wildlife Refuge. By the end of this trek, you’ll have an understanding of the ways in which ECLP, the river, its winter birds and you are all connected. Families and dedicated birders both will fit well in this program. February rolls out the Forest Treasure Campfire. Bundle up and hear the crackle of fire-licked logs while learning how trees helped to build our nation, figuratively and literally. You can bet the guides will bring along s’mores. By March, it’s time to get down and get your hands dirty. 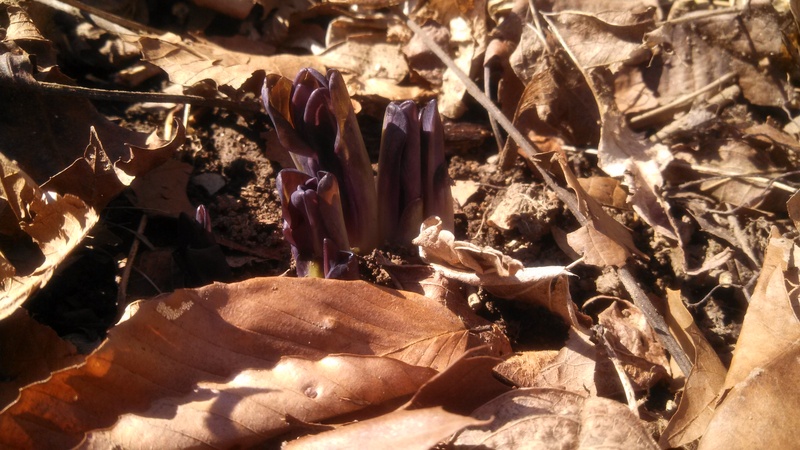 Uncover the diversity of soil organisms and the crucial role that invertebrates play in keeping forests healthy at the new Life in the Leaf Litter program. Then, wash the dirt off your hands because you may want to return to the park for some Confederate cake and sweet potato coffee. That’s part of another new program in March. Hard Times, Difficult Choices will take a look at the struggles and critical choices made by some of the people who lived and worked at Walney, the Machen family farm that once encompassed Ellanor C. Lawrence Park. 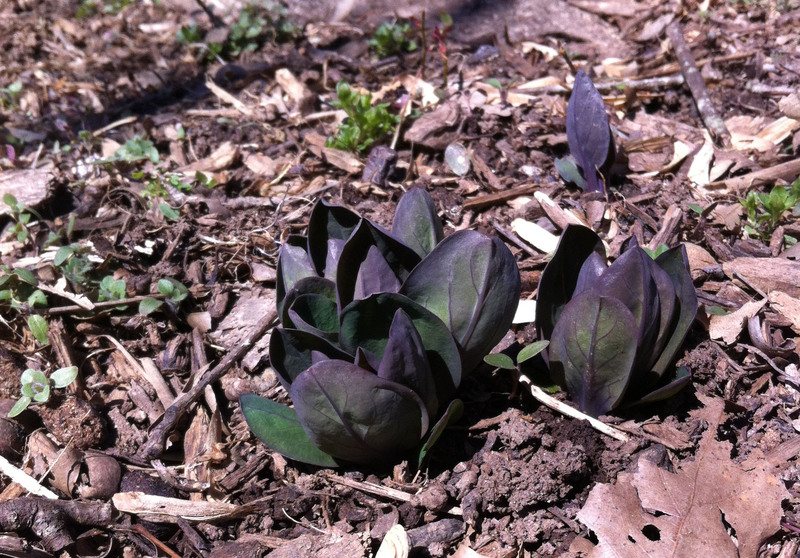 RAC debuts in March when spring critters are shifting out of winter patterns. The Reptile and Amphibian Club is for kids 6 to 15 years old. Award-winning naturalist Hayley Ake guides them through a one-hour adventure with snakes, lizards, salamanders, turtles and frogs. RAC will join ECLP’s already-established Bird Watching Club as a regular, once-a-month gathering at the park. Along with spring showers, April will produce ECLP’s first Wild Bird Spring Camp (registration begins February 14). Kids will be able to spend the week of April 14 through 18 searching the park’s diverse habitats to discover and identify species that reside in the park or that may be passing through on their spring migrations. Naturalist Megan Tolosa will keep the week lively with her enthusiasm and her love of birds. So set aside the nostalgia, plan a new adventure this year, attend some programs and become a park steward. Who knows where that will take you: park contributor? Advocate? Volunteer? Spend time in your parks this spring and discover a new you. For information more information on programs at ECLP, visit their web page. Information about nature programs throughout the park system also is online. Author Cheryl-Ann Repetti is a naturalist at Ellanor C. Lawrence Park in western Fairfax County. This entry was posted in Uncategorized and tagged Amphibians, Birds, Camp, Campfire, Elizabeth Hartwell Wildlife Refuge, Fairfax County, Forest, Holidays, Long-eared Owl, Machen Family, Mason Neck, nature, Nature Center, outdoors, Reptiles, Volunteer, Walney, William Carr, winter on December 18, 2013 by Fairfax County Park Authority.